Home Animation Are You Meant to be a Game Animator? There are so many different types of games out there today across a wide range of delivery platforms and styles. 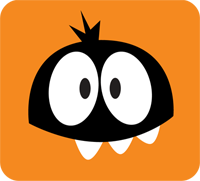 From exploration and adventure games like Uncharted or Tomb Raider, to action and first person games such as Call of Duty or The Division, to mobile titles like Clash of Clan or Angry Birds, they all have something in common: animation. Animators work to help bring these games to life with their passion and artistry. Justin Owens, Animation Mentor’s Curriculum Director, talks us through the differences – awesome! Who knows, game animation may be right for you. The basic fundamentals and underlying principles used by animators in games, feature animation, or vfx work is really the same. Timing, spacing, arcs, and weight are all crucial to any form of animation. One of the areas that differs are how those basic animation principles are exaggerated and/or toned down. One example of that is a game character may anticipate down before a jump, but that anticipation will be so much subtler than what you might expect to see in feature animation. The player expects a certain level of responsiveness when they press a button. Too much exaggeration in that instance would make it feel like the character wasn’t reacting to the player’s input. Stylistically game animation also tends to exaggerate physicality and body mechanics. Feature animation pushes the exaggeration into a more stylistic and cartoony arena, while the exaggeration found in VFX work is much more subtle and realistic. Exaggeration of style and the animation principles are present in each, but how they are used changes and gives each their own unique feel. One of the other big differences between game animation or feature animation and VFX is how the audience, or player, interacts with the final result. In both feature animation and VFX the audience passively watches the final result (film). The animators try and elicit an emotional response from the audience, but there isn’t any direct interaction or participation from the audience. Animators are also provided with a camera for their shots and they make sure their poses and emotional beats read from that viewpoint. That means at times they can “cheat” a pose so that it looks good from that main camera, but could feel off balance if viewed from another angle. That’s not something that can be done in games. Instead game animators have to constantly make sure their animation reads from all angles, as both the player character and camera can be freely moved about. It’s also a given that the player will be directly controlling the character and interacting with the environment. This is where animators become an integral part of the game design team to help shape those interactions. By animating from every angle game animators become adept at making the characters feel completely integrated within the environment. It’s a rewarding feeling when you can see your animation in game and the characters feel like a living breathing part of that world. One of the most exciting differences is the impact and influence the game animator has on the final result. Within feature and vfx animation, an animator is heavily directed and looks for smaller moments where they can add their personal flair. In comparison the games animator can have much more impact on a character, typically following that character through production and greatly influencing the behaviors, quirks, and overall personality. 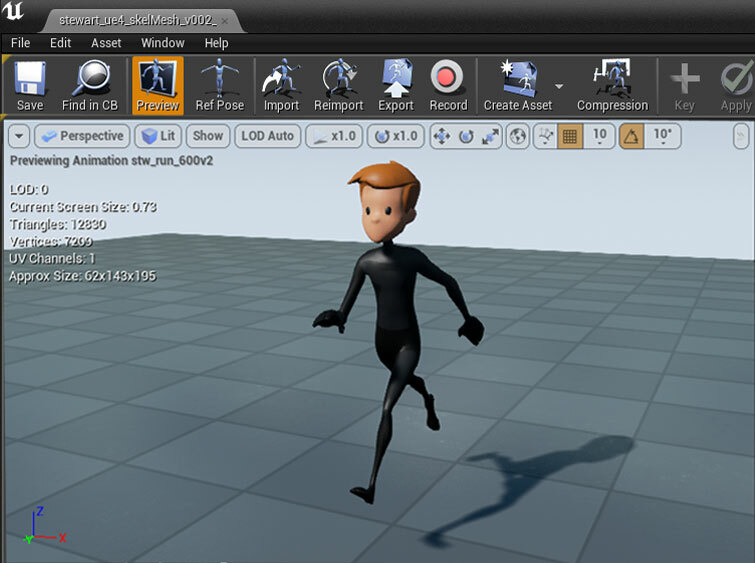 Animation is still done within a 3D package such as Autodesk’s Maya, and is then exported and brought into a game engine such as Unity or Unreal Engine 4. Rather than animating a full shot as you would on a feature, animators create a whole series of animation cycles that are then pieced together in the game engine. It’s not uncommon for an animator to be assigned to a specific character, and then to follow that character through the entirety of game production. In that way the games animator can have more influence on the final look and feel for a character, than they might in features or VFX. It’s a collaborative effort between the animators, game designers, concept artists, and more, when bringing these characters to life within a game. The games industry needs talented animators that are ready to bring their voice and passion to the table. Explore this style of animation and increase your skills while also broadening your job opportunities. Be part of the collaborative process that is found game animation, and help bring your ideas to life. There’s nothing more satisfying than helping to create something bigger than yourself and seeing where your contributions helped improve the end result. We invite you to try it yourself and check out our Game Animation Fundamentals workshop. There are a couple reasons you should consider giving games animation a try. 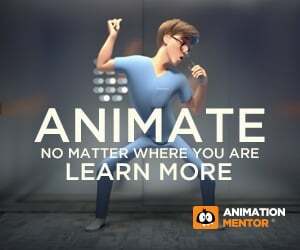 For one, it’s important when learning animation that you explore all styles and career paths available to you. This will help you to have a well rounded skill set, but will also allow you to find where your passion within animation lies. We’ve heard from mentors and alumni alike who have stumbled into games animation and found it to be an incredibly fulfilling career path. There’s something very satisfying when you can take your animation from within Maya and then interact with it in a game. Seeing how your animation choices directly influence the look and feel of the character is really inspiring. It also allows for quick iteration as you can see your animation from a new and fresh perspective. We invite you to try it yourself and check out our Game Animation Fundamentals workshop. Learn the game animation workflow from some of the best game industry professionals from Riot Games. Animate walk and jump cycles in Maya and bring it into Unreal4.